Are you interested in establishing your own reseller hosting company? Providing reseller services is a way for individuals who are knowledgeable in web hosting to rake in profits and build a flexible, gainful career. There are several important points of interest to consider before moving forward with building your business, such as your understanding of hosting, marketing, meeting client demands and choosing a web host.Basics of Reselling Reseller web hosting is an effective and inexpensive method of starting up a hosting company. Basically, becoming a reseller involves repackaging hosting services from another company, making changes and adding a few upgrades, and provisioning those services to clients. Resellers typically control the services their clients receive through the use of a control panel, allowing them to add or remove resources per clients’ wishes. Hosting companies that offer reseller programs often give resellers access to certain add-ons and features, which they can upsell to their clients.Getting Started Before you take steps to begin a reseller company, it’s a good idea to ensure you’re learned in web hosting and resolving related technical issues. If you’re confident in your knowledge and have the proper tools, licensure, and accounts in order, you need to find a dependable web host that meets your needs and standards. Once you’ve chosen a provider to resell hosting services for, it’s important to decide on service rates and how you’ll manage customer inquiries. 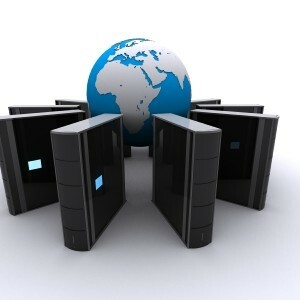 Setting up a reseller web hosting site and advertising your services as much as possible are also necessary to expand your company and draw in clients.Possible Advantages There are a number of benefits to establishing a reseller hosting company, assuming you’re well-versed in hosting and can meet client needs. Managing a hosting company is good way to earn a lasting income, especially as you likely won’t need to purchase or maintain hardware and equipment. Also, reseller web hosting companies that put time and effort into marketing their services often net clients that operate in various fields. Reseller web hosting services are often beneficial to clients that manage small companies, such as website design/development teams, bloggers and forum moderators.